On August 14, 2018, a suspected kidnapper died nine days after he was paraded by the Ondo Police Command. According to the state’s Police Public Relations Officer (PPRO), Mr Femi Joseph, the suspect died at Owo General Hospital after medical personnel had battled to revive him. Joseph said, “The suspect died nine days after we arrested him; we thought he would be revived so that he could help us in our investigation. The nation seems to have since moved on from this unfortunate incident, however, the alleged kidnapper should not have died if the police had not been negligent. 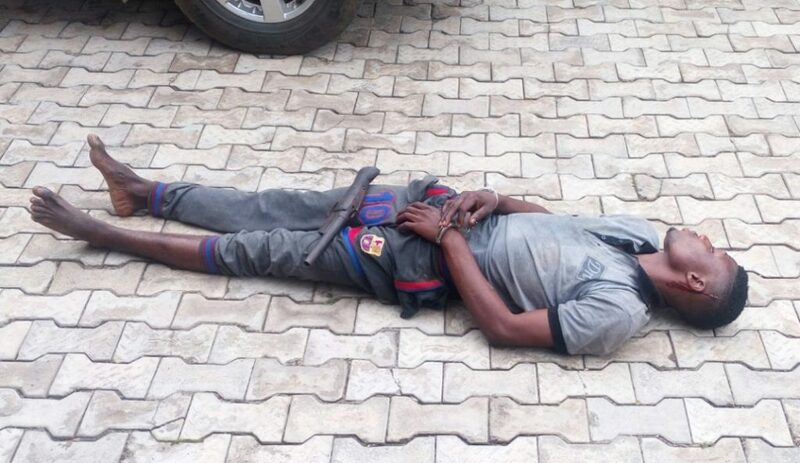 The police paraded the kidnapper who was in a state of coma at the time. He was not on a stretcher, neither was he in an ambulance. He was paraded with no medical aid. The police’s decision to parade the suspect without offering him medical attention is cruel. This could have been done after the suspect was out of his comatose state. With the suspect in a better frame of mind, it would have been easier for the police to get the exact details of his activities and his co-conspirators. Even hardened criminals and terrorists receive the best medical attention. This alleged kidnapper should have been afforded the same treatment. But the police in its usual manner of ineptitude and unprofessionalism ‘supervised’ his death. This case is a pointer to the maladministration, inefficiency and disregard for human life rife in the Nigeria Police Force.